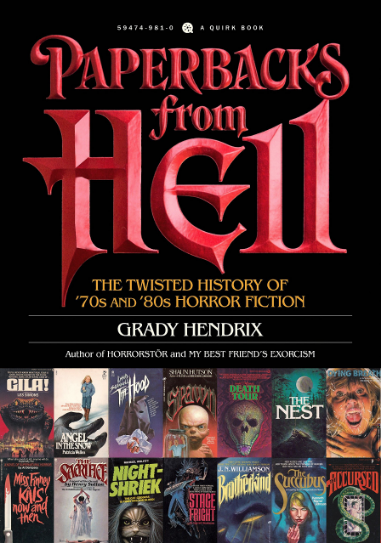 Enjoy horrors and a happy hour with author Grady Hendrix (We Sold Our Souls and My Best Friend’s Exorcism) in advance of his performance, Paperbacks from Hell LIVE. Taking place just a short walk from the Downtown Mall, this program is FREE to attend and open to the public. Please note: Drinks will be available for those of legal drinking age in Virginia. Book sales will also take place throughout the evening.